The more a pregnant woman approaches her delivery day, the more she begins to think about her future life as a parent. She reflects on the kind of mom she's going to be to her newborn child. She thinks about how her childbirth will be and she might have a few apprehensions as to how the process might go, along with the new responsibilities she will have to embrace, or on the contrary, she may have high expectations about her motherhood. An expecting mother should be ready for a lot of things. And sometimes, especially if it's her first child, there are many challenges she doesn't know about. Those are the ones she underestimates. For example, she might think that she'll find time to cook meals three times per day after her baby is born, or that she won't need any emotional support after the delivery, and then find out that she was mistaken. But if a woman knows as much as possible about her postpartum period, she will be more prepared to face all the challenges. If she knows that at some point, she might need her best friend to be around for support, she can talk to this friend beforehand and rely on their help. If she thinks that she'll do better with professional help, she might hire a postpartum doula or have all phones of her doctors at hand. If she's aware of all the things she needs to buy to make her postpartum recovery faster, she can stock up on them before she gives birth and avoid unnecessary trouble. So let us talk about all the things a pregnant woman can do in the last weeks of her special period to accelerate her postpartum recovery! A pregnant woman has a lot of things to do, but it's nothing compared to what she'll have to be doing after her baby is born. Therefore, it's a good idea to delegate responsibilities, at least during the last weeks of pregnancy, to get more rest. Remember that there's nothing wrong in asking for help, whether it's something to do around the house, or just to provide you with emotional support. Besides, you might also want to check in advance who will want to help you after the baby is born. Talk to your family and friends and ask when they might be available to give you a hand. This way, you won't have to look for help at the last minute when the baby is already here. 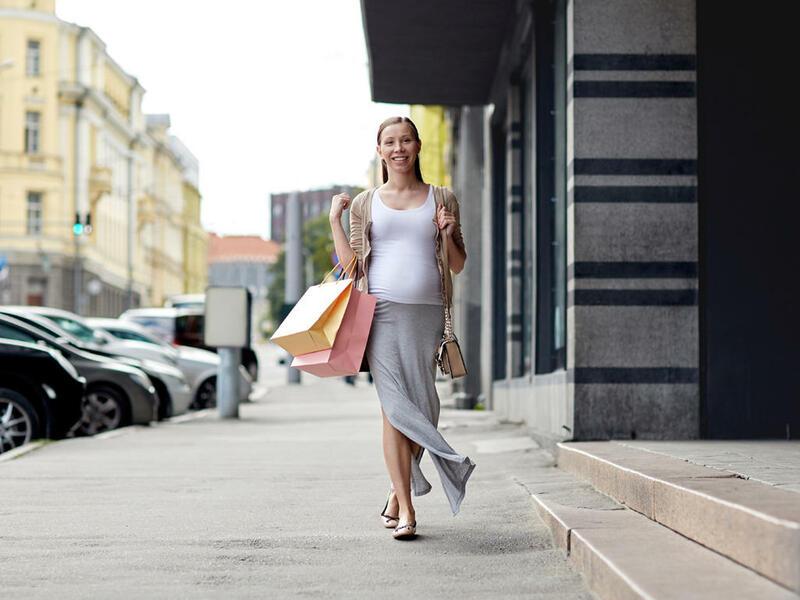 There's quite a lot of shopping you need to do before your baby is born, but it's not all about baby carriers, baby clothes, toys, and diapers. There are quite a few things you'll need to purchase for yourself, too. One of them might sound unexpected, but it's something you'll definitely need postpartum. We're talking about cheap undies here. You probably know that you should expect some discharge in "that area" after you give birth and you certainly don't want to let it stain your nice undergarments. So stock up with cheap undies to just throw them away after the discharge is gone. But, of course, undies are usually not enough to keep all this discharge from leaving stains on your other clothes (or even your bed sheets and furniture), so you certainly need to stock up on pads, as well. Make sure that you have a lot of them so that you can frequently replace them and avoid worrying about whether you have enough left. Trust me, it's the last thing you want to be worrying about in the first two weeks after the delivery when you have a little baby in your arms, you're sleep deprived, and you're recovering from giving birth. Opt for the pads with the highest absorbency because the more absorbent they are, the better they are at preventing bacteria growth. Everyone you know should be really excited for you and it's totally fine. There's no need to make them feel less excited but they should also understand how to avoid making you feel tired with their visits after childbirth. Besides, you should also set boundaries on the topics to discuss. For instance, say, "If we need any advice about breastfeeding/sleep training/changing nappies, we'll ask you." This way, you'll avoid hurting their feeling and let them know how they should behave with you as a new mom. Every woman needs physical, as well as mental and emotional support after childbirth. Of course, your partner, relative, or friend can provide you with it, but sometimes it's not enough. 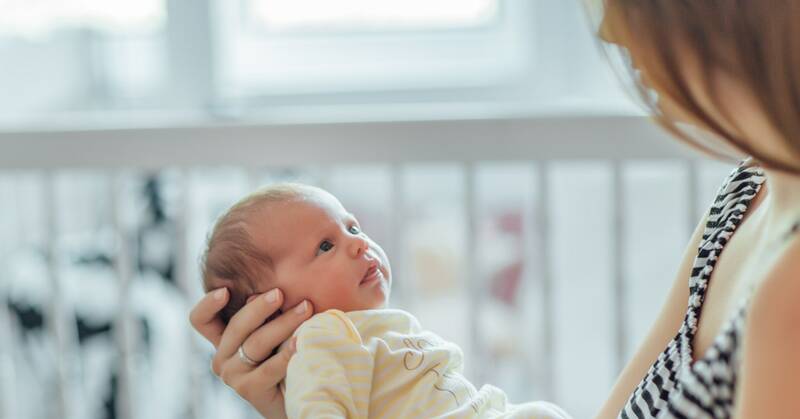 If you think that you might end up feeling in over your head after giving birth, consider finding a postpartum doula who is trained to help new moms through this uneasy transition of adding a baby to a family. She will teach you the basics of baby care, prepare snacks or simple meals for you, help you with chores a little bit, and let you have some more sleep. She'll also answer all your questions in a professional manner and help you gain the peace of mind and reassurance that you're a great mom. All pregnant women need support at certain points of their pregnancy period, especially when they're approaching its last weeks. One of the best sources of this kind of support is other women who've given birth before. They can tell you what you should expect, share their experience, and give some valuable advice. So if you have friends who already have kids, be sure to talk to them a lot. And, of course, turn to your own mother for help. After all, she was the one who gave birth to you and you turned out great, so she must know a lot of things about it, right? But in case you don't have anyone around who might help you get through all these things, or if, for some reason, you don't want to ask for their help, you can join a support group. You'll meet many other women who are pregnant, just like you and take this journey to motherhood altogether. They will be the women you don't know, but they might give you more support than your best friend because they're at the same point in their life as you are. You might even become friends with some of them before childbirth and keep on sharing your experiences postpartum. You should make sure to eat well in the last weeks of your pregnancy, as well as after childbirth. However, it's not the time to turn yourself into a chef and spend hours in the kitchen cooking different delicacies. You need another approach during this special period of your life. Learn to cook simple but nutritious meals and have them portioned and frozen. Postpartum, you're going to thank yourself for doing it because you won't spend too much time cooking. Instead, you'll just unfreeze your meals, eat them, and go rest. Another thing you can do is add phone numbers of your favorite food delivery places on speed dial for the moments when you're going to be starving, not wanting to move a muscle off the couch, even if it would only require unfreezing some food. Even if you've been super-active during your entire pregnancy (good for you, by the way! ), it's better to rest more in the last few weeks. Remember that after you give birth, even little things, such as going up and down the stairs to get some snacks, might become much harder. So it's a good idea to stock up not only all the things you need to purchase, but also on your energy. Minimize your trips up and down the stairs and don't take long walks. Basically, avoid putting an unnecessary strain on yourself. Besides, while you're approaching childbirth day, make sure that you'll have everything you need within your reach to avoid overexerting yourself postpartum, too. Kegels are pelvic floor exercises that have numerous benefits. They're especially recommended for pregnant women because they help strengthen pelvic muscles, which can make labor shorter and accelerate the postpartum recovery process. The good thing about them is that these exercises are very simple and some can be done at pretty much any time of the day - when you're watching TV, standing in line, or waiting for the green light in a car. You may start doing Kegels as early as you want during your pregnancy and continue doing them immediately after birth. Make it a habit, do them regularly, and your postpartum period will be much easier. It's very important to drink a lot of water after the delivery for a few reasons. Firstly, it's because of the prolonged amount of time you spend without eating or drinking anything while giving birth. Secondly, you need a lot of water because you're likely to lose a certain amount of fluids during labor and will need to replenish afterward. But even before you give birth to your child, you may start increasing the amount of water you drink to make sure that dehydration won't be as difficult in the postpartum period. Besides, creating a habit before giving birth will make it easier for you to stay hydrated after the delivery. Both when you're pregnant and after the delivery, it's important to eat fiber-rich foods, such as fresh fruits and veggies, as well as grains and legumes. 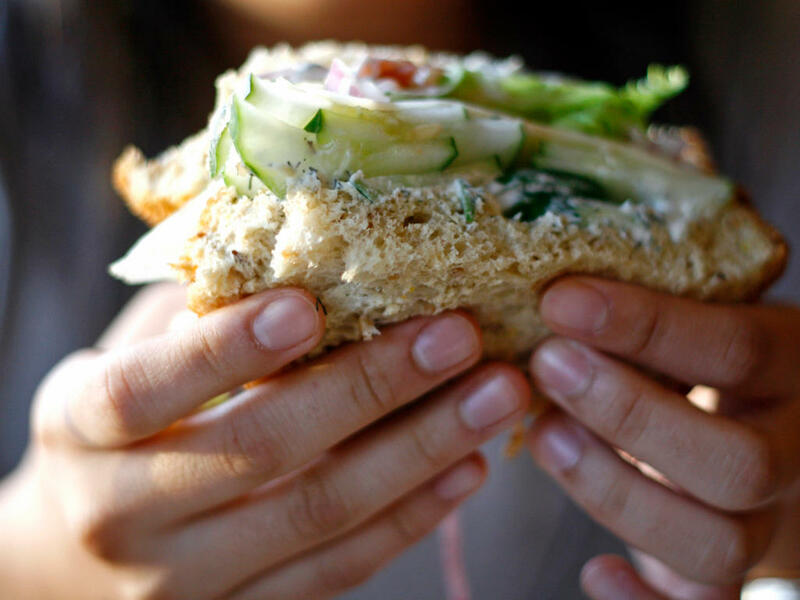 These kinds of foods will help you with digestion issues before you give birth to your child, as well as after. Besides, this way will also allow you to get into the habit of eating healthy foods and make it easier for you to maintain your nutritious way of eating after the delivery. It will certainly help you to recover much quicker and it will also make you healthier in general. And a healthy mama means what? That's right, a healthy baby for whom you'll have enough energy to provide them with all the nutrients they need, in case you choose to breastfeed. Let me warn you - the first time you'll go number two after the delivery will be quite something. You'll probably be afraid of straining too much (or straining at all) for a variety of very good reasons. And if this is the case, then don't hesitate to try a stool softener. Sometimes, we all just need a little bit of help when it matters most. But going number one is also no picnic after the delivery, so another thing you'll need is a numbing spray that you'll need to use a few minutes before you go to the restroom. Using this spray will allow you to tinkle without feeling any discomfort. Amazing, right? 7 Buy Some Aids That Will Help You Heal "Down There"
There are a lot of things that can help you recover after the delivery and you might want to purchase some of them beforehand. First of all, there are so-called "padsickles" (or pads that were soaked in water and then frozen) that can provide you with a huge relief. Then there is a peri bottle that you can use to wash gently without having to wipe, which is especially helpful with an episiotomy. 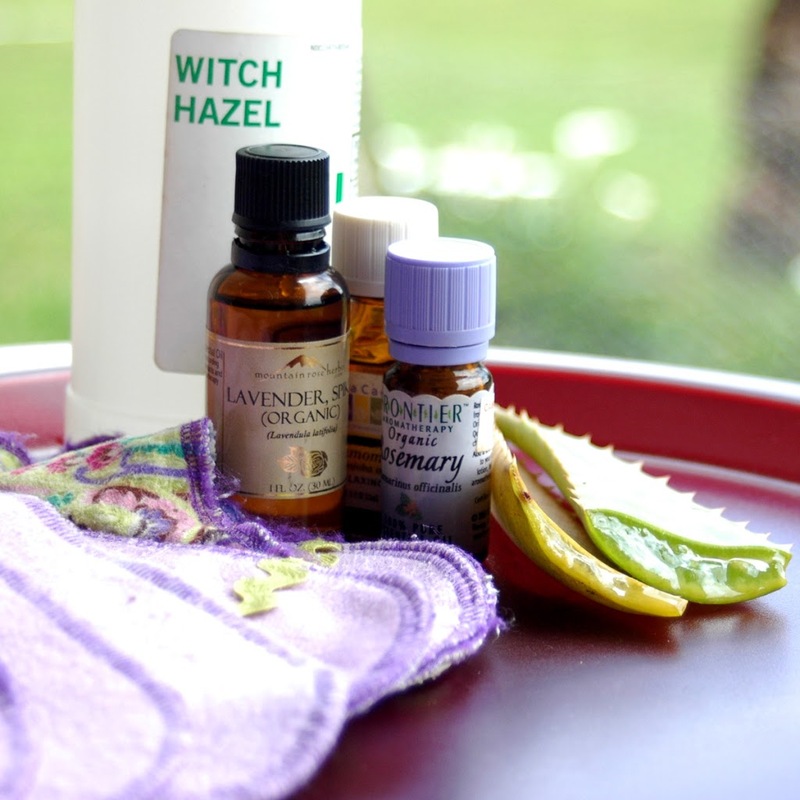 Besides, you should also use a healing ointment on the girls that won't only promote faster healing but will also prevent the risk of infections. If you choose to breastfeed and want to avoid chemicals, make sure to only look for natural ingredients. Apart from the remedies that will help you recover faster, you will also need some other things that will help you feel better during this challenging period. So, shortly before delivery, plan your shopping accordingly. Make sure to get a belly wrap that will support your lower back and pelvis. Then you should also stock up on moisturizing butter for the girls, especially if you plan to breastfeed your baby. And even if you don't, be prepared for some irritation anyways as many women continue to lactate without breastfeeding, at least for a little bit. And of course, you're going to need a special bra, as well as many kinds of clothes that will help you feel better and more comfortable. If you've always wanted an excuse to wear soft yoga pants and hoodies (or your favorite jammies) all day long, let me congratulate you, because you finally have the perfect excuse and no one can say a bad word about it! After all, when you have this huge belly the only clothes you feel comfortable wearing is something loose-fitting. And keep in mind that it won't only be your favorite kind of clothing before delivery. You'll also want to keep wearing it after pregnancy because you won't want to feel any extra pressure and it will help you heal better. So you can finally buy these cute pajamas and comfy hoodies and wear them for as long as you want! After the delivery, few women feel perfectly well and they need to know how they can help themselves feel better and it's better to prepare for it beforehand. For example, make sure that you have a lot of different pillows at home. Yes, you read it correctly -- you'll need pillows! You might want to sit on a doughnut-shaped pillow after giving birth. Meanwhile, holding it next to you while you cough or sneeze after c-section will also be really helpful and make your recovery much faster. Another thing you'll need is a lubricant. According to OB-GYN Dr. Susan Bliss, "you're low on estrogen after the delivery, causing a thinning of your [...] membrane, which can lead to dryness." So go get some now and you'll thank yourself after the delivery. You can start this plan with a list of phone numbers of all people whose help you might need, such as your doctor, midwife, doula, nurse, lactation consultant, pediatrician, and so on. Don't forget to elaborate on how you're going to take care of your newborn, paying necessary attention to your older children (if you have any). And it's also a good idea to plan on some "me-time" when you can leave your baby with your partner, relative, or friend, and just get some well-deserved rest sometime after giving birth. During pregnancy (especially during its final weeks), you have the full right to be a little bit selfish. After all, you can only provide your baby with care and love, if you feel happy, safe, and supported. In other words, you need a lot of rest, you have to be well-nourished, hydrated, and most important of all, you have to be calm and taken care of. For this reason, if you need any help from those people you love, don't hesitate to ask. And remember that being a happy mama is much more important for you, your child, and your entire family, than a freshly-vacuumed living room or a crystal clean kitchen. So always prioritize your needs, thinking about yourself and your baby first. It's important to keep your expectations low about your new life as a parent. After all, it's possible that whatever you pictured in your mind about your postpartum life will be different from reality, especially if it's your first baby. Don't expect yourself to be some kind of super-parent who will be able to run on zero sleep while all at the same time maintaining her emotional composure. Don't expect to always be in your right mind because emotions can be a little too much to handle after childbirth. Just give yourself some space and open yourself to the new experience to embrace everything that happens at this special stage of your life. Sources: Romper, The Pragmatic Parent, Parents, Baby Chick, What to Expect.